Choughs are well known for not moving around much. Well, so it’s generally thought. Actually, on the quiet, they get round quite a lot. A lone unringed chough was photographed on 16th February, feeding in the fields behind the cliffs east of the Otter Estuary, Budleigh Salterton, Devon. Possibly the same bird was seen not too far away on 23rd March at Exmouth, Devon. Another chough was reported in the Scilly Isles again where a single, unringed, bird was spotted on Bryher near Popplestone Bay on 4th April. The bird was later seen on Tresco and had reached St Martin’s by the evening. The last chough in the islands was seen on St Martin’s and later at Peninnis on St Mary’s (report here). Of the six sightings in Scilly, three have been in the last decade, with one in the 1980s. When choughs returned naturally to Cornwall in 2001 it was thought that the intrepid colonists had come across from Brittany. It turned out, remarkably, that they were from southern Ireland (we know this thanks to DNA work by Aberdeen University – abstract here). However, and very excitingly, Cornish Choughs can now confidently report there is at least one Breton chough in Kernow (Cornwall) adding to the Celtic melting pot of choughiness (technical term). Towards the end of February Cornish Choughs were contacted by Rob, one of their small team of ‘just-in-case’ chough watchers in North Devon to say he had found a chough at Baggy Point. Rob got some lovely images and they showed the chough was colour-ringed but the rings were not ones they recognised. 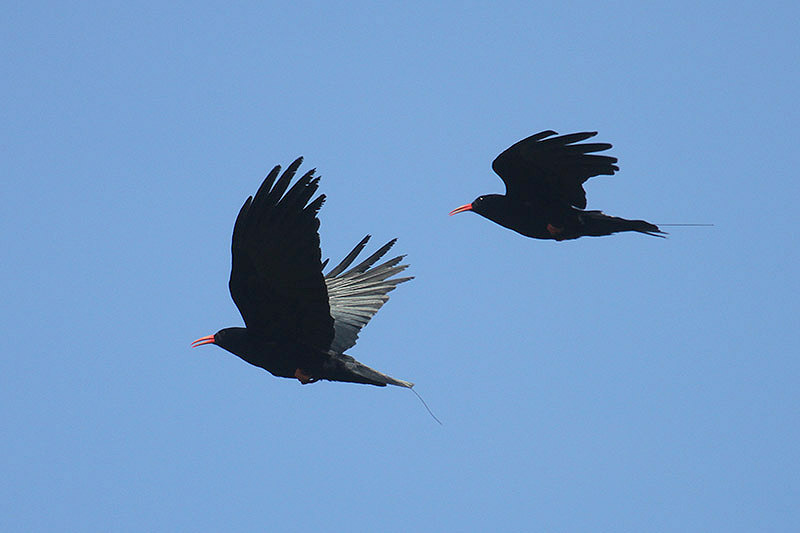 After checking with colleagues working with choughs in Wales who said ‘no, not one of theirs’, a quick email was sent to friends across the water in Brittany to see if they could identify the bird. Sure enough, yes they could! It turns out this chough was ringed as a nestling on the island of Ouessant in 2007. 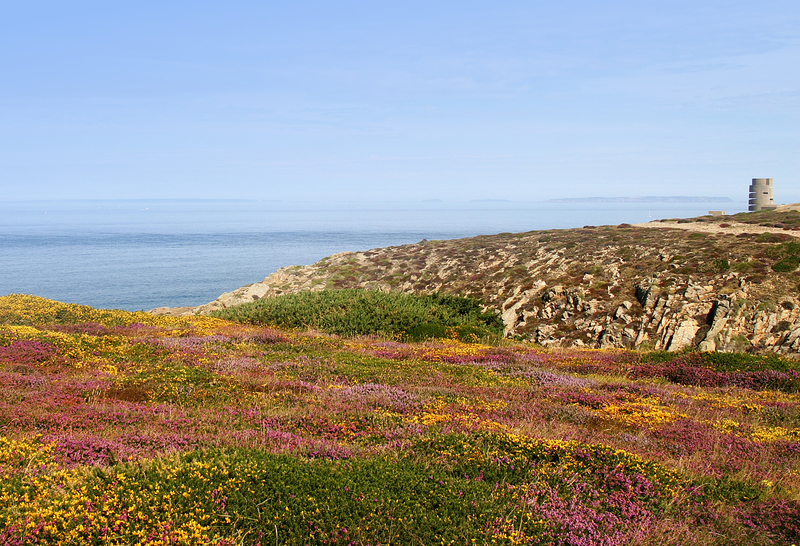 It was known to have been resident on the island until at least 2011, and could well have been there in subsequent years too, as monitoring in Brittany is not as intensive as it is in Cornwall. The chough then disappeared from Baggy Point after a couple of days (where it was happily feeding alongside some Hebridean sheep), but was ‘refound’ by Rob again in the same area towards the middle of March. It all too soon vanished, but not for long though. Recently another keen chough watcher saw a chough in north Cornwall and sent her record in to CBWPS, who of course forwarded it on. As no chough was expected to be in that place, local chough watcher Geoff was asked to go take a peek and within minutes it was confirmed to be the same Breton bird. How amazing is that! Well, that does mean that at least one of those birds in the UK sneaked right round the Channel Islands! Or fly through them? Of course it also highlights just how important observers are and how valuable their records are to all our chough projects. It is easy at times for people to think that we know where all ‘our’ birds are. However, even those with radio transmitters can get around when the team aren’t looking and all reports can help us. 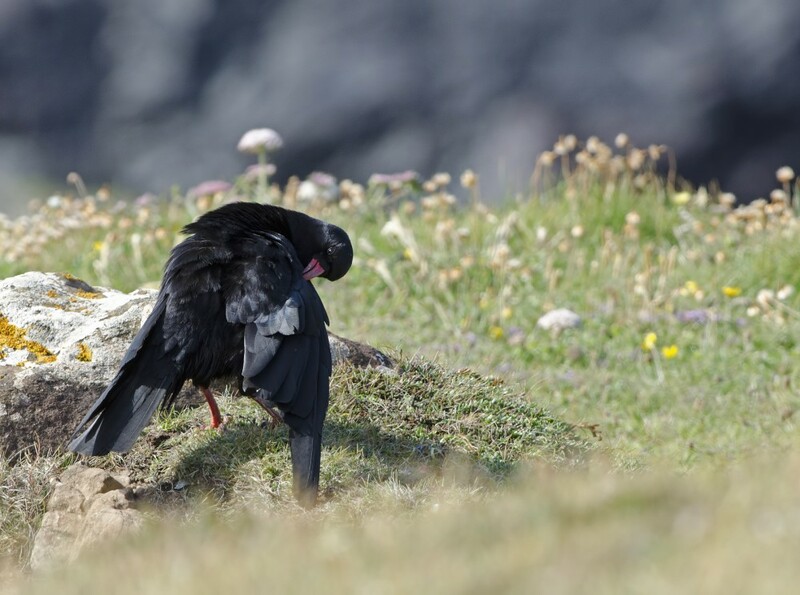 So, never feel your records won’t be of interest, look at our page about chough identification and contact us through this address birdsote@gmail.com.